Note: Vinyl tops are heavy-duty triple laminated blockout material. Requires a 4' or 5' round table with a center hole for stability. 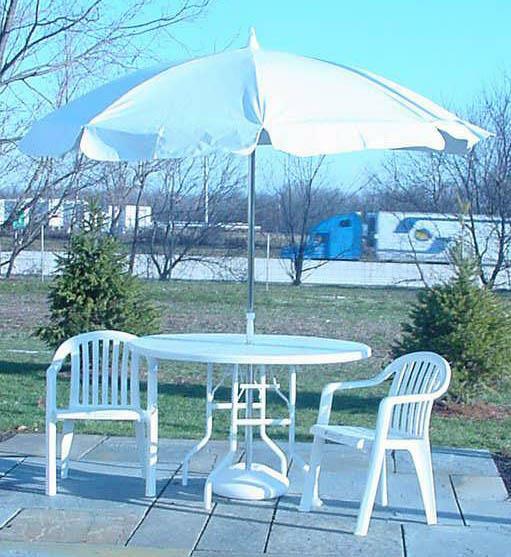 * Please call us for any questions on our umbrella 7.5 foot white vinyl tilt w/base rentals in St. Helens OR, Scappoose and the South Columbia County area.